Rummy and Poker are the two most popular card games in this world. Card game enthusiasts would have definitely played one among them. 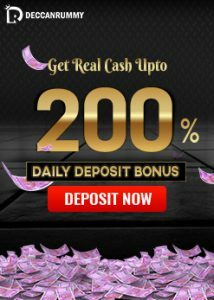 Rummy Card game has undergone tremendous changes with time and the latest version that is extremely popular all around the world is called Indian Rummy or Paplu. There are many variants of Indian rummy like Deals rummy, Pool rummy, Points Rummy, and Gin Rummy. Similarly, modern day poker has undergone several changes to its current form. At present, Texas Hold’em and Pot Limit Omaha are the two most popular types of poker played all over the world. 13 card Indian Rummy card game is a popular card-matching game played based on the draw and discard of cards. The objective of the game is to meld the hand cards into proper sets and sequences. Poker is a family of card games, which involves betting. The winner here is determined by his ranks and combinations of their cards. Both rummy and poker are played in a social setting and have religious followers opening up several communities for them. Now, we shall analyze some of the similarities and differences between poker and rummy. Online rummy game is poised to reach great levels with the advent of technology. 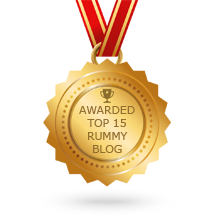 Both poker and rummy, have a lot more in common than you might think. Both Rummy card game and Poker needs at least two players to begin the game. Players can fold their hands anytime in both the games. Skill plays a vital role in both the games. You need to have a strong knowledge of key mathematical concepts for rummy and must use a lot of logical reasoning in poker. Both Rummy and poker are available to play in the web/mobile format. In both the games, players need to show their cards once the winner is declared. Both the games create tremendous opportunities to win huge cash prizes. Rummy card game is way easier and simple to learn whereas poker is a bit complicated with its rules. Remembering the hand value rankings may be a bit overwhelming for the beginners playing poker whereas rummy rules can be understood even by laymen. The outcome of a rummy game is purely based only on the player’s skills whereas in poker luck plays a big role. You can be confident of a win if you do your math properly in rummy, but in poker, even with sufficient skills, you may lose because of the luck factor. Winning amount depends on the bet placed by the players in Poker (it may vary from game to game) whereas, in Rummy, there is no betting involved. 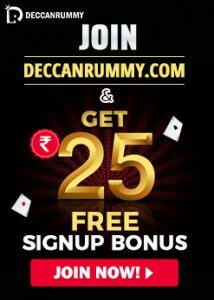 Rummy is normally played in clubs and also during family get-togethers and functions whereas the game of poker requires a lot of accouterments, so it is usually played in casinos. You make a lot of assumptions while playing poker but in rummy, there is no room for assumptions only calculations based on observation. Both these games have their share of advantages and disadvantages but they are extremely popular and have their own cult following unquestionably. Plus, both the games give some solid work to your brain cells and stimulate you. One can play both poker and online rummy to have fun, play and let us know which one you like. Will you?